Hello there, welcome to Blogmas (I’ve started a day early I know)! Over the next few weeks you will be seeing a lot of Christmas related content as we count down to the big day. We’re talking gift guides, decorating, baking and weekly updates so be sure to check back regularly to keep up to date. Today I thought I’d start with a festive makeup look which can be easily achieved at home. I thought I’d do this early on as I’m sure a lot of you will have a Christmas Party or Office Do coming up and obviously then there’s Christmas Eve, Christmas Day, Boxing Day- the works! To help me create this look I asked my lovely friend Laura who is a dab hand at makeup (and lashes!) to have a play and see what she came up with. I thought it might be nice to let her do it to help me deviate away from my usual makeup look which includes the same products every single day. So here is what she came up with. 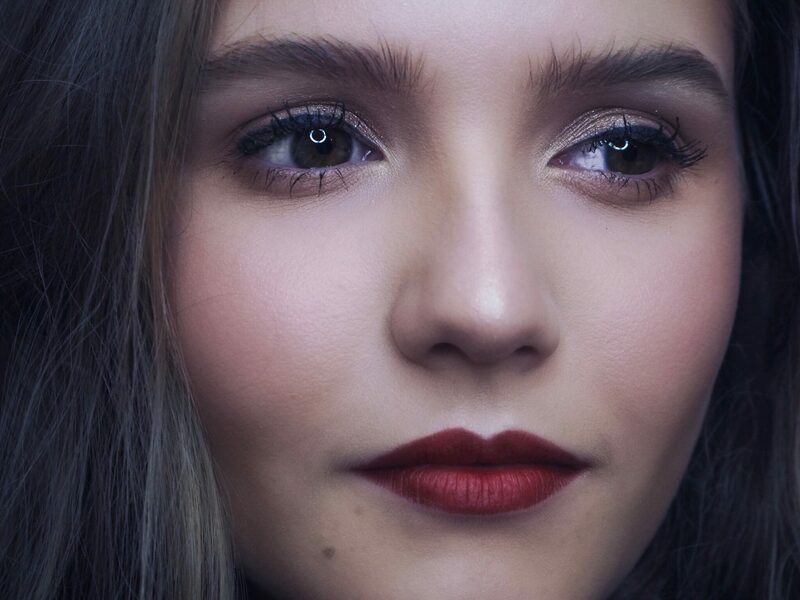 We decided on a classic red lip as it really doesn’t get any more festive than that! This is a gorgeous Illamasqua formula which stayed on for hours after she applied it along with the NYX lipliner paired with it! The other important factor was that the skin looked glow and dewy, I’m not really a fan of the matt look and as my skin is dry it doesn’t suit me so obviously that meant plenty of moisture was needed. After primer we used the Anastasia Beverly Hills Peach Fizz Liquid Glow around the temples and cheeks to really get an illuminated look. I had never heard of this product but when we were done I had been converted and knew I needed it in my life. 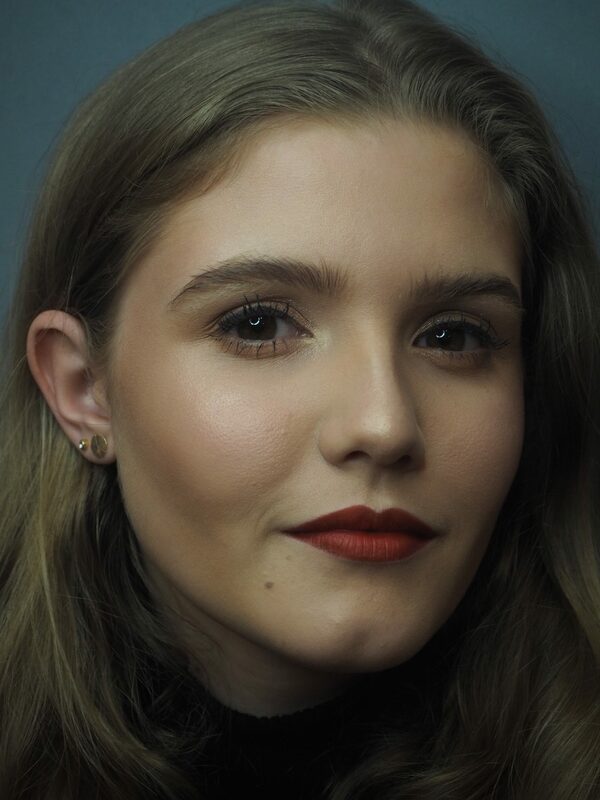 Then it was a thin layer of the Illamasqua Skin Base in the lightest shade possible followed up by concealer and topped with a light hand of bronzer. Next up, eyes, this is where I am reluctant to deviate from my warm toned rusty shadows. Instead we used a simple gold eyeshadow with a thin line of eye liner to add a bit of definition. The small detail of the liner really made a difference as I hardly ever apply eyeliner so it therefore looked like an evening look to me! Finished off with lots of mascara! I didn’t want to look too overdone so we kept the brows minimal, mine are very bushy and have a mind of their own so a small amount of the Freedom Pro Eyebrow Pomade and some soap kept them fluffy but in place. I’ve never tried the soap trick but I definitely will be doing after seeing how well it kept them still! Overall I suppose it’s a pretty simple look but one that is super easy to do but looks like there has been some effort put into it! A red lip goes with near enough everything but you could always swap it out for a more berry tone if that’a more your thing. Don’t forget to check out Laura on instagram and Facebook and get yourself booked in quickly for makeup and Eyelashes! Let me know in the comments below what your favourite Christmas look is and your favourite products to achieve it! Thankyou! So get an eyebrow brush (the ones that look like mascara wands) and wet it and rub it on a bar of soap. Then run this brush through your brows and it makes them fluffy and keeps them set in place haha! Thanks Angela! 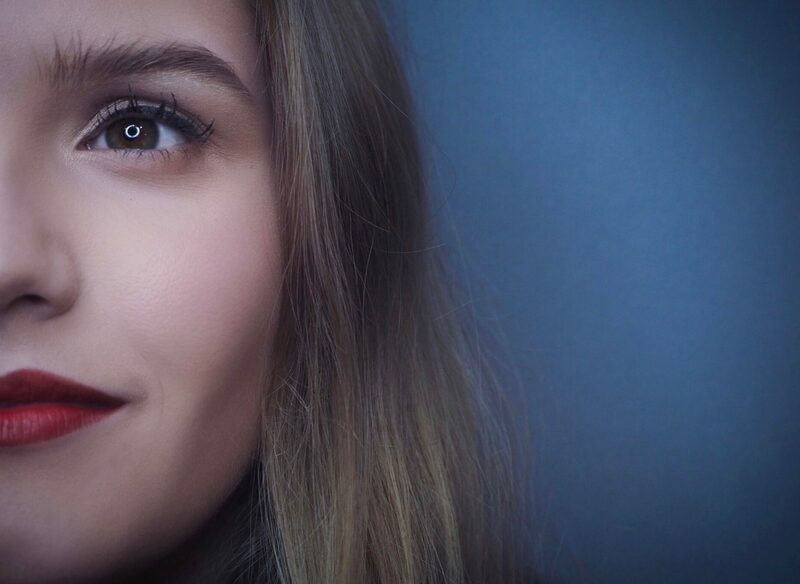 I agree the ring light makes such a difference haha!